International peer-reviewed online scientific journal "Economic trends". Requirements for abstracts for the authors of publications in international peer-reviewed electronic network journal of educational institution "Baranovichi state university" "Economic trends"
REQUIREMENTS FOR ANNOTATION IN ENGLISH FOR THE AUTHORS OF PUBLICATIONS IN INTERNATIONAL PEER-REVIEWED ELECTRONIC NETWORK JOURNAL OF EDUCATIONAL INSTITUTION "BARANOVICHI STATE UNIVERSITY" "ECONOMIC TRENDS"
REQUIREMENTS TO KEYWORDS FOR THE AUTHORS OF PUBLICATIONS IN INTERNATIONAL PEER-REVIEWED ELECTRONIC NETWORK JOURNAL OF EDUCATIONAL INSTITUTION "BARANOVICHI STATE UNIVERSITY" ЭECONOMIC TRENDS"
Rules for authors of publications in peer-reviewed international electronic network journal "Economic Trends" of the educational institution "Baranovichi State University "
The annotation in English has a scientific nature. Due to it the reader must determine whether he or she should refer to the full text of the article for more details and information that is interesting for him or her. It is the main source of information in national and international information systems and in databases, indexing the journal. It is available on the magazine's website for public viewing on the Internet. The annotation in English (the capacity is not exceeding 300 words), should describe the main objectives of the study; explain how the study was conducted without the methodological details; summarize the most important results and their importance; it should not contain abbreviations and references. 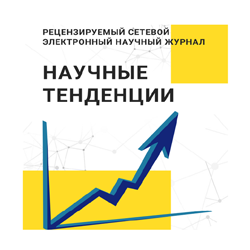 Founder — educational establishment "Baranovichi state University"
Frequency — 1 issue in six months.